Got a spare room? Make thousands from it! 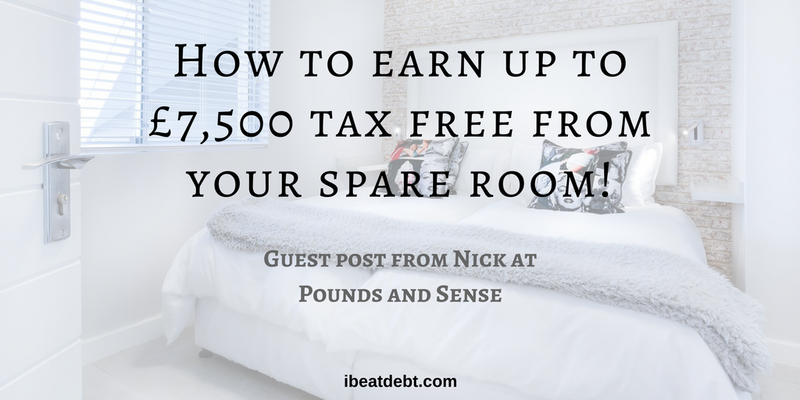 I’m delighted to be able to bring you a guest post today from fellow money blogger Nick. He has kindly shared how we can make up to £7,500 a year tax-free if we have a single room for rent in our homes! Over to Nick! GOT A SPARE ROOM? 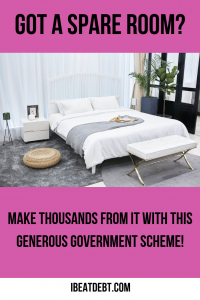 MAKE THOUSANDS FROM IT THROUGH THIS GENEROUS GOVERNMENT SCHEME! If you want to make some extra cash without too much hassle, here’s a way you can make £7,500 a year tax-free! There is nothing complicated about this opportunity – it simply involves renting out a room (or more) in your home, either long-term or short-term. There’s a long-running government scheme to encourage home owners to do this. It’s called the Rent a Room Scheme. Until April 2016 you were allowed to earn up to £4,250 a year doing this. But in that year’s budget this limit was unexpectedly raised to an even more generous £7,500. Anyone with space in their own home is allowed to use the scheme. Whether you have a single room for rent or an entire floor. You don’t even have to be the home-owner yourself. If you’re a tenant, you can sub-let a room, as long as your own lease allows you to do this. There are some restrictions to the scheme, though. Most importantly, the accommodation must be furnished and it must be within your main residence. And you can’t claim under the scheme for self-contained flats even if they are in your own home. If your gross rental income is under the £7,500 annual limit you don’t have to take any other action and can keep all of the money tax-free. You don’t even have to tell the taxman unless you fill in a self-assessment form already (in that case you’ll need to enter the rental income on your return but won’t have to pay any tax on it). One important thing to note is that the £7,500 a year tax-free allowance is for total rental income. You aren’t allowed to deduct any expenses from this, e.g. repairs or redecoration. If you earn over £7,500 a year from renting you have two choices. One is that you can keep the first £7,500 tax tree under the Rent a Room scheme and pay tax at your highest marginal rate on the balance above this (that’s 20% for standard rate taxpayers). This will probably be the best option for most people letting rooms at home. Alternatively, you can opt out of the scheme altogether. In that case you will be treated like any other small business. You will be taxed on your entire rental income, but allowed to deduct all reasonable expenses before tax is charged on what is left. This will be advantageous if you have major expenses to cover. You can choose which option will be best for you each year, so it’s important to keep detailed financial records. More information can be found at https://www.gov.uk/rent-room-in-your-home. 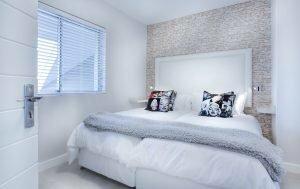 If you don’t want a permanent – or semi-permanent – lodger, another option that has become hugely popular in recent years is short-term letting to budget travellers and people who prefer a more personal alternative to hotels. At the forefront of this trend has been Airbnb. 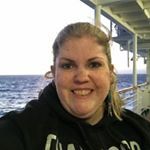 This site lets you offer anything from a sofa in your living room to your whole house so you don’t need to worry if you have a double or a single room for rent. You can set your own rent, and decide which would-be guests you want to accept. Airbnb charges you 3% of whatever you charge your guests (they also charge guests a fee of between 6% and 12% of whatever you charge). You get paid via Airbnb approximately 24 hours after your guest checks in. Income from Airbnb rentals can also be claimed under the Rent a Room scheme, so long as you meet the general requirements mentioned above. This applies even if you rent out your whole house for a short period, as long as it clearly remains your main residence. My sister Annie regularly rents out a room in her home to Airbnb members. She lives near Oxford, so gets lots of people who are going to conferences and meetings. She finds the extra tax-free income very welcome, and enjoys chatting with her visitors. If you need short-term accommodation in the Oxford/Didcot area, let me know and I’ll pass you on! Good luck, and happy letting. Nick Daws runs www.poundsandsense.com, a personal finance blog aimed primarily (though not exclusively) at over-fifties. I can see why your sister would do well with her location, it’s certainly worth considering doing this if you have the room!